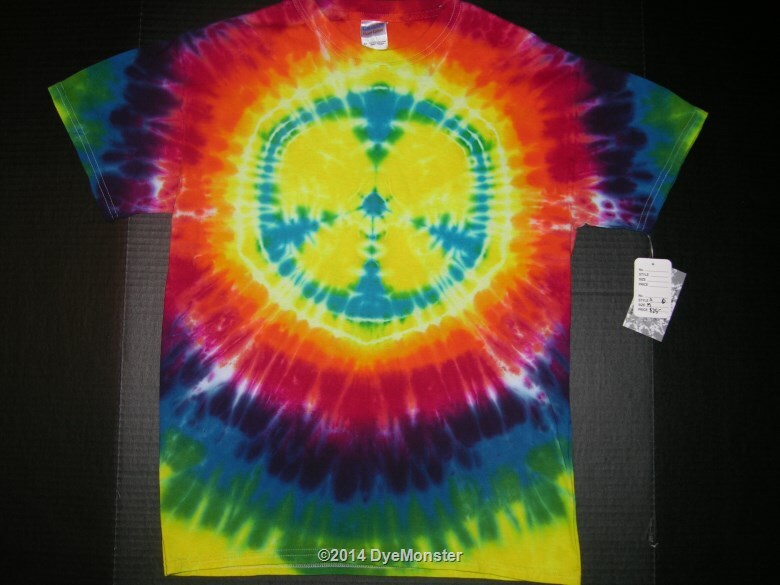 Adult Medium Gildan 100% cotton t-shirt tied and dyed with Procion-type dye by Greg Anderson during the Summer of 2014. The image is created through intricate folding and binding prior to the application of the dye, this takes a great deal of skill and experience to achieve. No two are exactly alike, you are buying a unique piece of artwear.